“DULKAN” Company was founded in January 2005. Its main activity is the production of inflatable boats and powerboats. From the very beginning of our activity, we decided not to strive to sell the cheapest products, but to offer though expensive, but qualified and reliable materials, accessories and components. 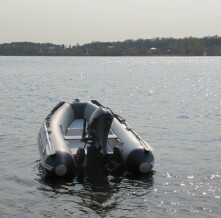 Analyzing the advantages and disadvantages of all construction and equipment for each model, our experts seek to create not simply inflatable boat, but the finished qualified product that meets all requirements of the customers. Our boats and powerboats have a modern design, different models and colours. A wide model range allows you to choose a boat according to your needs. 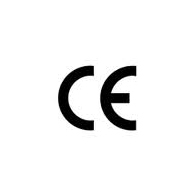 Models of our boats are constructed in accordance with international standard ISO 6185 and provided with CE certificate. “DULKAN” company is constantly working on the improvement of design of their boats, making them more attractive to buyers. We consider the simplicity and reliability, durability and comfort of use, high seaworthiness and good driving characteristics to be the main advantage of “DULKAN” boats. “DULKAN” offers its customers a long-term service, 5 year warranty and spare parts. “DULKAN” is also interesting for those who had bought the boat a long time ago and hasn’t thought about a new one yet. The second specialization of the company is repair of all types of inflatable boats from the rubber to the most modern inflatable boats.